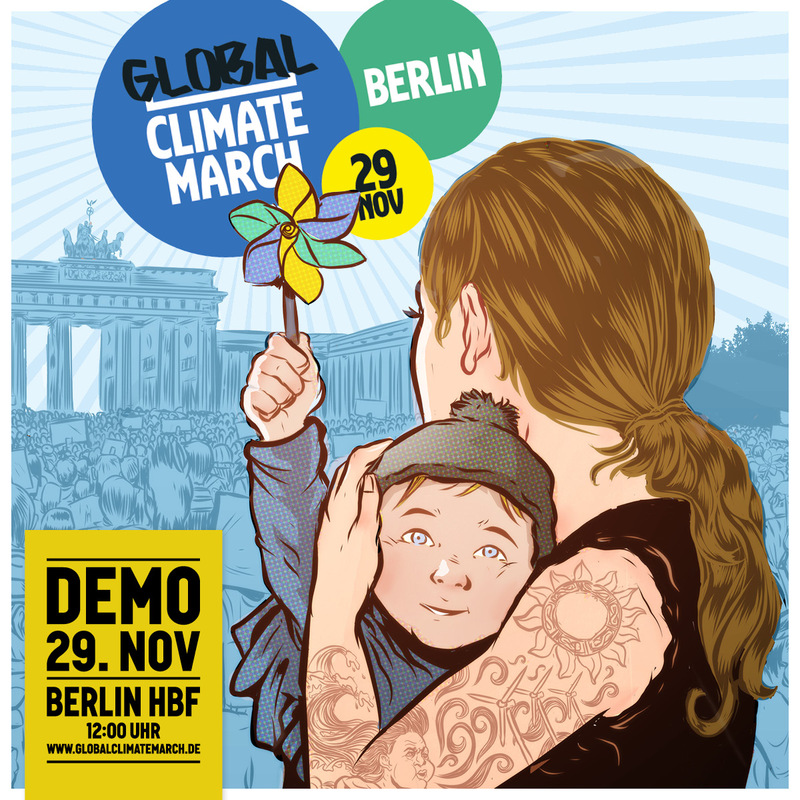 Next Sunday, November 29, one day before the opening of the Paris climate conference, there will be demonstrations all over the world calling for 100% renewable energy by 2050. AVAers and their friends will be meeting at 11:45 a.m. outside the Hauptbahnhof. LOOK FOR OUR BANNER next to the statue of the rolling horse on the north side of the station (Europaplatz). We will then walk to the south side of the station (Washingtonplatz), which is where the march will begin. In case of inclement weather, we’ll meet at the DB information desk inside the station on the ground floor at the Europaplatz entrance. 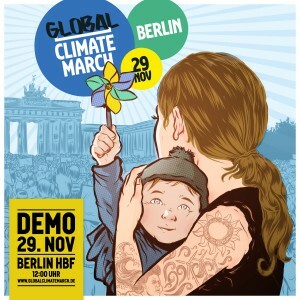 Check www.globalclimatemarch.de for details. Marchers will include, among many others: AVAAZ, Campact, Greenpeace, NABU, Klima Allianz, Oxfam, WWF, 350.org, Bündnis 90 / Die Grünen. Plus American Voices Abroad (AVA) Berlin. This entry was posted in Event, Home, Protest. Bookmark the permalink.